Delicious foods that delay aging process naturally, but does not everyone want to stay young and beautiful? It is true that old age must be welcomed with dignity and accepted both the good and the bad that it brings. We can not actually stop the process, but we can slow down the signs of aging by following some healthy and good living habits. These include not only the care of your skin but also the careful planning of the diet. After all, there is a great deal of truth in the words we are what we eat. Appearance has a lot to do with how you feel from within. 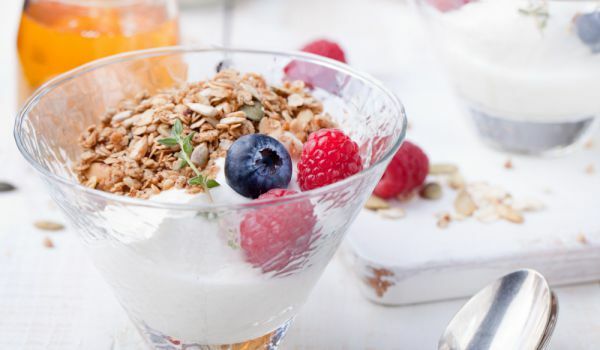 The rule is simple – to eat properly and healthy for youthful and eternal beauty. See the top gallery for the best foods for women that will significantly slow down the aging process. Ruby red seeds are perfect for your skin. They help improve blood circulation and give a natural skin color. 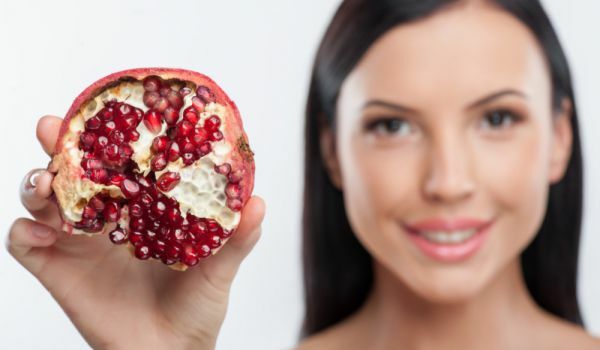 Also, the pomegranate contains important compounds that have an anti-aging effect. Elagic acid is a polyphenol compound that fights free radical damage, and the penicillagulin is an over-nutrient that increases the body’s ability to retain collagen, which in turn helps maintain the elasticity of your skin. Your body can produce all the fat it needs, except for two essential fatty acids – linoleic acid and alpha linolenic acid. These two compounds play a major role in building healthy cell walls for beautiful and well-groomed skin. Avocados are full of essential fatty acids, omega-3 and monounsaturated fats. They are the main enemy of wrinkles and play an important role in moisturizing the skin from the inside. Eggs are one of the best sources of high-quality protein. 98% of your hair, skin and nails are proteins. That is why high protein intake can help combat the visible signs of aging. Green vegetables like spinach, dock and fenugreek are full of antioxidants, polyphenols and chlorophyll. They help in building cell membranes and preserving collagen, which helps smooth and elastic skin. In these small, sweet fruits there are more antioxidants than most foods and can provide additional skin protection from sun exposure, emotional stress and cell damage. The traditional product for Bulgaria helps to maintain the health of the skin cells. It is a great source of calcium and helps cells recover. Yogurt can also be applied to your skin. The lactic acid in it helps to remove the dead skin and tightens the pores.